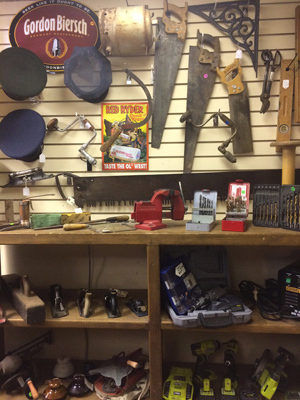 Everything from funky to functional can be found behind the Dunn Deal Resale Store doors. If you’ve just moved to Durango and need to fit your home, check out the used furniture and home appliances niche of Dunn Deal Resale. Bookshelves, dining sets, home decor, housewares - everything you’ll need to establish a new home or replace old items. Find good deals on used mattresses that get cleaned before being put in inventory. For the handy folks, don’t miss the used hand and power tool section. Dunn Deal Resale goes the extra mile and organizes the tool section to make the process easier! Used electronics like stereo equipment, video game systems, record players, and even computers can be found. But make sure to hurry, these items don’t stay for long! Dunn Deal Resale is always holding sales to keep their inventory fresh. Keep an eye out for colored tags to catch a deal. Whether it’s a powder day in the backcountry or a summer’s eve spent under the stars, Dunn Deal Resale can outfit you for any adventure. During the winter, new and used skis and snowboards are available for multiple disciplines including downhill, alpine, telemark, skate, and cross country skiing. 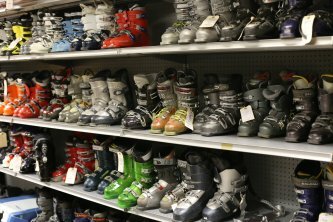 A wide array of boots to fit each sport are available alongside winter gear like poles, jackets, gloves, helmets, and ski goggles. Other snow items like sleds, snow shoes, and ice climbing equipment are also available. In the spring and summertime, get ready to stock up for all the equipment you need for summer sports. Drop in for a wide array of outdoor gear and sporting goods equipment including used bicycles, hiking boots, camping gear, climbing equipment, weights, and fishing gear. If you are a collector or looking for an unusual or unique gift item, Dunn Deal is your place to shop. Antiques and vintage items such as unique furniture pieces, vinyl records, hand tools, and rare books can be found at Dunn Deal. Collectible home décor items and vintage jewelry also abound in their fast evolving inventory. Given the store’s Four Corners location, you can expect to find Native American rugs, jewelry, and pottery, plus original art work. At any given time they'll have collectable vintage toys, games, knives, coins, comic books, vintage video game systems, and a host of other unusual and weird articles. While other thrift and second hand stores are there to sell used items, Dunn Deal Resale is known for assisting customers to find just what they are looking for and offering helpful advice on how to use and care for articles. For instance, when you come in for cross country or alpine skis, expect to receive a boot fitting, advice on gear, and local tips! Dunn Deal Resale knows about their items and provides the knowledge that should come with each one. You’ll be leaving with more than just a ski set-up. If you’re looking to donate or sell your items, send an email or make a phone call and one of the employees at Dunn Deal Resale will be more than happy to help you.